The Danish supercar, Zenvo ST1 caught fire while being reviewed by Jeremy Clarkson of Top Gear. Although it is an unfortunate incident, it proves the power and aggression of this supercar. Interestingly, the incident was caught on tape, as the Top Gear was filming the video review. After exhibiting a thrilling speed, the car lost control ending up in flames. Luckily, the driver remained intact who reported the clutch failure which caused the incident. 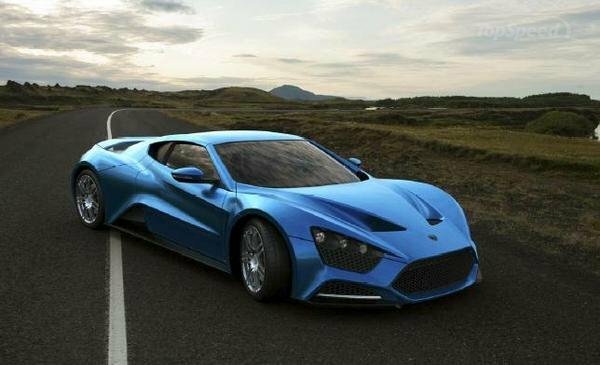 The Zenvo ST1 is a high performance hyper car carrying a turbocharged, supercharged 6.8 liter V8 engine producing over 1,100 horsepower and 1,430 Nm torque. The rear mounted engine uses seven-speed automatic transmission with paddle shift to draw maximum engine output and hit a top speed of 375km/h. Even though this incident will affect the repute of Zenvo ST1, it has now joined the league of wrathful super cars like Bugatti Veyron.